A best-selling gift book exploring the personal faith of Queen Elizabeth II, filled with beautiful photos of the Queen and her family through the years. 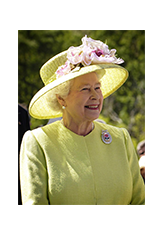 In 2016 the Queen celebrated her 90th birthday, and across the country and the Commonwealth people celebrated with her. 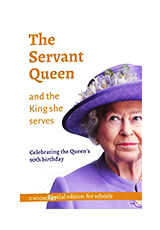 In partnership with Bible Society and HOPE, we marked the occasion with a book, The Servant Queen and the King She Serves, which takes a closer look at the Queen’s personal faith in Jesus and the impact it has had on her long life of service to the nation. 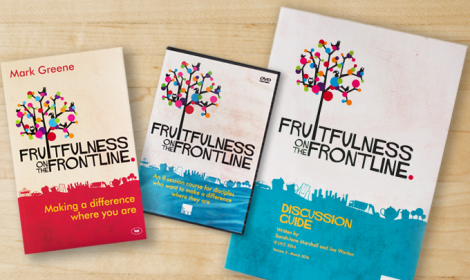 The book is designed to be a conversation-starter and a gift from churches to their local communities and from individuals to friends, colleagues, or family. With a foreword from the Queen herself, the book went on to be featured on Songs of Praise and sold over one million copies. We hope you’ll find it encouraging, inspiring, and easy to pass on too. Get your copies from our partners, CPO. 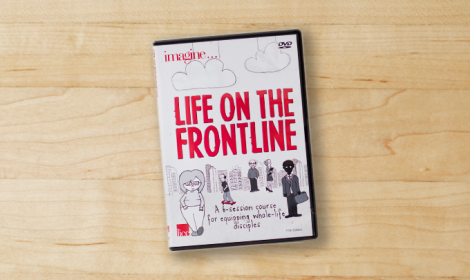 You can order in packs of ten for £11.50, plus postage and packaging. Watch Mark Greene, co-author of The Servant Queen, talk about his personal response to the Queen’s faith and his inspiration for writing the book. Get the special schools edition, created in partnership with Scripture Union, designed to help kids aged 10+ celebrate the Queen and her life of faith and service. 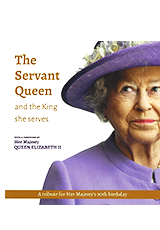 'The Servant Queen and the King She Serves' is also available in braille, audio, and large print through Torch Trust. For more information or to order call 01858 438260 or email info@torchtrust.org.